Governor Samuel Ortom of Benue State has insisted that nobody can make him dump the Peoples Democratic Party (PDP) for another political party. Okay Nigeria gathered social media had be awash with reports of the governor plotting to leave the PDP for the Social Democratic Party (SDP). Ortom, who recently joined the party from the All Progressives Congress (APC), have encountered disagreement with the leadership of his new party over who controls the structure of the party in the state. 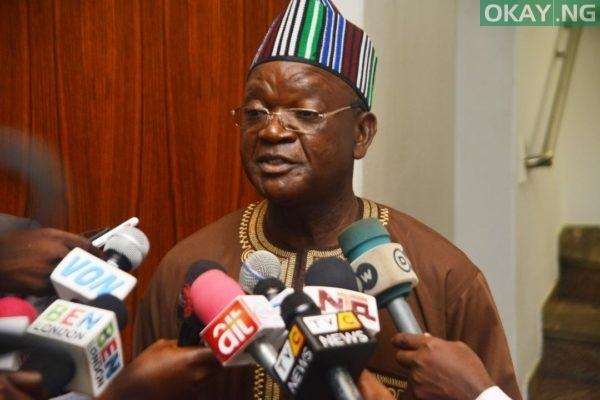 Speaking to newsmen on Friday, the governors media aide, Terver Akase, disclosed that Ortom is engaging other governorship aspirants within the PDP. He said: “As l speak with you, there is no such thought (of defecting) at all. The governor has joined the PDP, he was in the PDP before he left and he has said that he has come back home. So, there is no such thought at all. “Ortom is a true member of the PDP and is confident of flying the PDP flag in next year’s election. “So, why should he think about leaving the PDP? There is no reason and no cause for such thought as I speak with you. l don’t have to comment about what any aspirant is saying because the PDP I know is a big family that makes decisions to accommodate all its members.